Keep clients suffering from Raynaud’s—a little-known condition that affects fingers and toes—comfortable during nail services. The human body is a highly responsive instrument. When it’s overheated, it perspires; when it’s cold, it shivers; when it’s threatened, it releases adrenaline, which shifts the circulatory and nervous systems into overdrive. Although these responses are predictable, the fact is that not every body works the same. For some people, the physiological reaction to internal or external stimuli is exaggerated. Such is the case for individuals with Raynaud’s (ray-NODES) syndrome, a condition with which all nail technicians should become familiar. Primarily affecting fingers and toes, Raynaud’s causes these extremities to turn white or blue and become swollen, numb or tingly when exposed to certain “triggers”—typically cold temperatures or stress. While not disabling, Raynaud’s can cause pain that can be severe enough to affect quality of life, requiring sufferers to make lifestyle adjustments to limit exposure to their triggers. This is why it’s important for nail techs to know whether or not a client has Raynaud’s, and what to do—and what not to do—to keep that client comfortable throughout her nail service. First identified by French physician Maurice Raynaud in the mid-1800s, Raynaud’s is categorized into two types: primary, i.e., not associated with another underlying medical problem, and secondary, where symptoms of the condition are the first sign of an underlying autoimmune disease. The vast majority of Raynaud’s cases are the primary type, and thus what nail techs are most likely to see in the salon. According to Lynn Wunderman, chairman of the Raynaud’s Association, a national nonprofit organization that she founded in 1992, what occurs physiologically during a Raynaud’s attack can best be described in terms of the body’s “fight or flight” response. “When the body feels it’s in danger of extreme cold or stress, the blood vessels in the extremities shut down to send the blood supply to the body’s vital organs for protection,” she explains. “For a nonsufferer, this might occur at temperatures below 20 or 30 degrees Fahrenheit, or when someone puts a gun to their head. For a Raynaud’s sufferer, it can happen at 60 or 70 degrees, or after a really bad day at work.” At that point, the color changes and accompanying discomfort occurs. Although the primary signs and symptoms of Raynaud’s are easily identifiable, the syndrome’s origin remains a mystery. 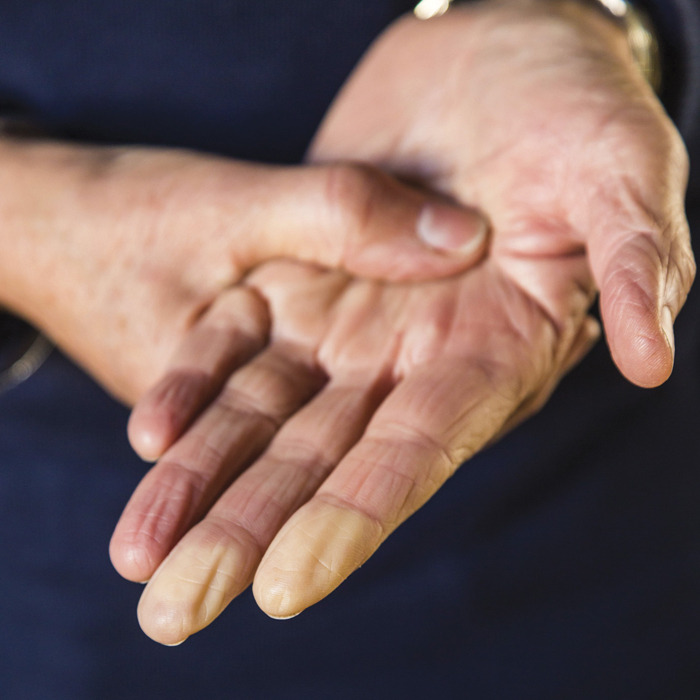 “Raynaud’s is considered a ‘phenomenon’ because the cause of the ailment remains unexplained,” says Wunderman, who herself has been diagnosed with the disorder. “We know that Raynaud’s occurs in all population groups, although it affects women much more often than men.” Wunderman reports that although researchers haven’t determined a specific genetic link for Raynaud’s, in many families more than one member has the condition. “It’s uncertain as to whether or not family connections are based on increased awareness of the condition among relatives or true heredity,” she adds. Raynaud’s is not a well-known condition. Because of this, and the fact that it isn’t life-threatening and is rarely disabling, it goes largely undiagnosed. “Most people affected by the condition don’t even realize that their pain and discomfort have a medical explanation, so they don’t seek treatment,” says Wunderman. “Doctors often make the diagnosis based on the patient’s description of the color changes that occur suddenly after being exposed to cold temperatures.” It behooves anyone with symptoms of Raynaud’s to get a medical diagnosis. Although not common, complications stemming from Raynaud’s include digital ulcers and the potential for long-term damage to blood vessels. In extreme cases, “a sufferer may experience gangrene and lose a digit,” Wunderman warns. She notes that although there’s no medication to prevent or halt Raynaud’s attacks, certain calcium channel-blocking drugs have been clinically proven to decrease their severity and/or frequency, and topical antibiotics or nitroglycerin paste, gels or patches may help protect against infected skin ulcers. If Raynaud’s is suspected, a doctor will order a blood test to rule out a causative underlying disorder. If there is none, treatment consists mostly of lifestyle adjustments that involve avoiding exposure to cold temperatures, dressing warmly and managing stress. The Raynaud’s Association offers an additional piece of advice: Don’t smoke, as smoking narrows bloods vessels and can worsen Raynaud’s. Fortunately, the majority of Raynaud’s sufferers have a mild primary type, and commonsense measures are enough to keep them reasonably comfortable.